The conference season is almost over. There are still a few gems out there worth attending before school starts. I just came back from the Lake Arrowhead Microbial Genomics Conference which took place at a UCLA resort in the mountains. This conference is rather small and intimate. It lasts for five days and is structured into early breakfast – morning talks – bountiful lunch – two hours afternoon break – poster session – dinner – late evening talks – partying and/or sleeping. There are no concurrent sessions. Everybody (~156 people) has the same schedule. Speakers are all invited and represent people from the whole range of different universities and colleges, genomics products vendors, and industry owners or workers. Everyone can sign up to present a poster. There is free alcohol ad libitum. Why is California still drinking alcohol? I guess it gives us confidence to break the ice. People were very enthusiastic. Everybody said they looooved it and would come back. What is it that makes a conference that good? I liked the venue, the intimacy, great conversations, helpful comments on my research/poster, good food, sharing my room with a role model, good weather, and the outdoors. Also, the majority of invited speakers was female. There were 36 talks and more than 50 posters. Let me summarize a few presentations that make a good fit for The Molecular Ecologist. Kicking off was Martin Ackermann from ETH, Switzerland. He talked about bacterial communities as consortia of microbes making up a collective metabolism. He also quickly mentioned the “Black Queen” hypothesis wherein microbes distribute functions across species over time (Morris, Lenski, and Zinser 2012). How this whole system grows, develops and works is a function of its context. If you zoom into this system you can reduce it to two strains of bacteria with different functions. This is what he used for his experiments. A simple model with two players that depend on each other’s metabolites. Martin’s graduate student Alma Dal Co built flow cells where you can grow bacteria as a single layer of cells and watch them interact (Dal Co, Brannon, and Ackermann 2018). She found that the interaction of two players needs a minimum size range for them to survive. Once you increase the number of players, this minimum area will increase. I wonder if alcohol would help here too? Bacterial species tend to unmix but they still depend on each other. Alma found the neighborhood size that predicts growth of bacteria living together. Moreover, she would extend this function to more than two players. This ultimately leads to the question, how many partners you can have? Bacterial cells live in a very small world. However, migration and mixing helps. Interactions among individuals shape their spatial organization and this determines the growth and productivity of the community as a whole. Find Alma’s most recent paper here and stay tuned, another one is about to come out! Michelle Afkhami from the University of Miami, Florida talked about the interaction of plant hosts and their microbial symbionts. She and her group quantified how additive and non-additive genes in the host are expressed when symbionts are added or removed (Palakurty, Stinchcombe, and Afkhami 2018). In her case, the symbionts are rhizobia and fungi. These mutualists had genome-wide effects on expression. In order to explain these patterns of gene expression she would use network analysis to find if genes play a central or peripheral role; i.e, how connected genes are to each other in their expression patterns. Find out more about concerted gene expression studies of hosts with symbionts here! Otto X. Cordero from MIT elaborated on the principles of community assembly at the micro-scale. Otto is studying carbohydrate degrading communities in the ocean. He brought the ocean into the lab by producing little biopolymers. These are mimicking nutrient patches that float in the ocean and are colonized and digested by bacteria. In the lab, he is keeping these little beads in flasks and then incubates them with seawater. He uses the same seawater; i.e., the same species pool, the same environment, but different polysaccharides on the beads. Over time he could find the same kinetics in the flasks but not the same bacterial taxa that are carrying it out. (bioRxiv paper here!) Otto and his group would take this a step further and filter out the substrate-specific taxa from the unspecific taxa in his flasks and look at their phylogenetic relationships. The polysaccharide-specific groups clustered together. In the case of chitin degraders, Otto would even reconstruct their ancestral state based on the phylogenetic tree. I love this. We are talking about ~1500 genomes that were used for these trees. Some of these strains seem to evolve really fast, such as for example Psychromonas (Enke et al. 2018). Gabriel Leventhal, a member in Otto’s group, would find this by using community population genomics in the flasks. Shannon Bennett took us to Thailand. She studies evolutionary and ecological drivers in the transmission of viral diseases. Her study system are mosquitoes. They act as vectors for many viruses. Recently, there has been an increase in infectious diseases (Gill et al. 2016). Humans are living more densely together, their livestock too, and there is globalization. A few examples are Zika virus, Dengue fever, and Chikungunya fever. Most of these diseases started out in non-human primates. However, they do much better in crowded cities. Often in poor areas, where water is stored. Shannon is trying to find a link between these diseases and environmental health. In Thailand she looked at spatial patterns of diversity in mosquitoes and their microbiomes. She made a gradient from Forest to Agricultural sites, rural, suburban and urban areas. Transmission of diseases differs a lot along this gradient. First, there are many more different species of vertebrate hosts in the forest and agricultural habitats compared to the cities where there is mostly only humans. The same applies to mosquito diversity. But, disease vectors increased with habitat degradation towards the cities. When Bennett looked at mosquito blood with a 16S and 18S approach, she found also a decrease in diversity towards the more urban areas. It seems that biodiversity mitigates against viral disease emergency. On a side note, she also found that mosquito larvae midguts contain many fungi and two different strains of Wolbachia! Here is a short video about Shannon’s research. I met Jean-Marie Volland during our poster session. We were both early and had time to explain our posters to each other. Jean-Marie is interested in the evolutionary question why two individuals don’t cheat during a symbiosis – a classical question of game theory. His study host is a marine ciliate Zoothamnium niveum, together with its ectosymbiont Candidatus Thiobios zoothamnicoli. This chemosynthethic symbiotic model system can be manipulated and studied in the lab (Bright et al. 2014). Jean-Marie would incubate the two players in this system with C13 bicarbonate, followed by NanoSIMS and transmission electron microscopy to trace the labelled carbon and see how the host and symbiont interact with each other. They also used a metagenomic approach to look at the symbiont’s full genetic potential. They found that in the presence of sulfide, the symbiont would fix inorganic carbon which is then transferred to the host. The most exciting result of Jean-Marie’s work was the discovery of a second bacterium within the ciliate host, whereas Candidatus Thiobios zoothamnicoli lives mostly outside of the host cells. The new player, Candidatus Janabacterium zoothamnicoli, belongs to the TM6 candidate phylum. It has many nutritional deficiencies and seems to highly depend on the other bacterium. So, it looks like the symbiont itself has pathogen. I call it pathogen here because they found many genes coding for transporters in this third player that might be used to steal nutrients from the others. Let me finish here with Rachel Dutton, like I did two years ago. Rachel is using cheese as a model microbial ecosystem. These relatively simple systems allow the replication in culture and experimental set-ups to investigate the effects of different types of fermentation or the quantification of selective forces. Rachel focused her talk on the acquisition of genes through horizontal gene transfer. This mechanism allows microbes to rapidly gain new capabilities and adapt to new or changing environments. Rachel and her colleagues concentrated on more than 150 bacterial isolates from cheese rinds in Europe and the US and found over 200 putatively horizontally transferred genomic regions containing more than 4,500 protein coding genes (Bonham, Wolfe, and Dutton 2017). These are just a few impressions from all the interesting cutting-edge talks I went to during #LAMG2018. I barely just scratched the surface with my post here. However, many people were live tweeting and blogging from the conference. If you want to read more about it, just go to twitter and look for #LAMG2018 or check out this blog! Now, if you made it until here, I will tell you a bit more about a young company called “Phase Genomics” that is making use of the Hi-C method to sequence genomes. Originally this method had been used to capture the 3D structure of chromosomes (Kornberg 1974; Eagen 2018). Before DNA extraction, sequences are cross-linked in vivo, trapping nearby genes that originated from the same cell. This proximity information is later used to assist in the genome assembly. This can be a single genome (from culture to complicated hexaploid plant) or a metagenome. Plasmids and phages can now be associated with their hosts. The company provides the DNA ligation and extraction kits to make sequencing libraries, which can then be sequenced on any paired-end illumina instrument. Check out more applications of the method here! Bonham, Kevin S., Benjamin E. Wolfe, and Rachel J. Dutton. 2017. 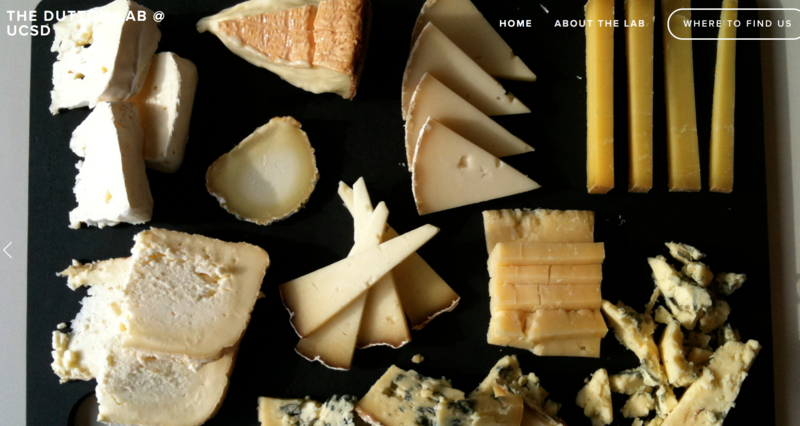 “Extensive Horizontal Gene Transfer in Cheese-Associated Bacteria.” eLife 6 (June). https://doi.org/10.7554/eLife.22144. Bright, Monika, Salvador Espada-Hinojosa, Ilias Lagkouvardos, and Jean-Marie Volland. 2014. 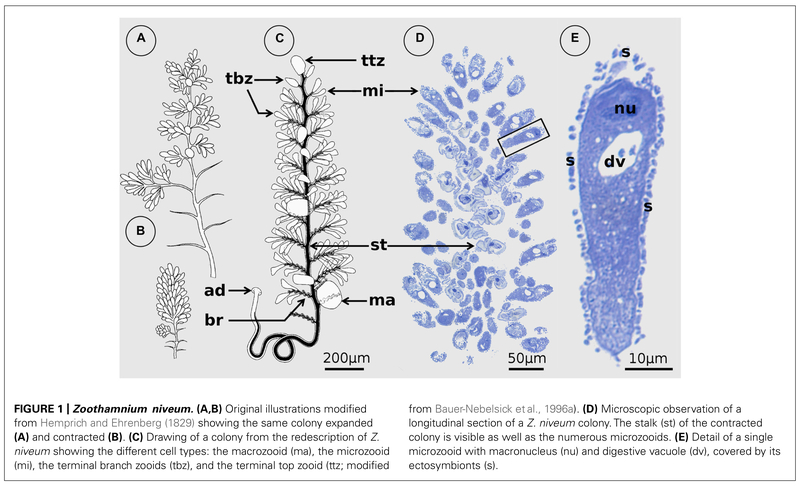 “The Giant Ciliate Zoothamnium Niveum and Its Thiotrophic Epibiont Candidatus Thiobios Zoothamnicoli: A Model System to Study Interspecies Cooperation.” Frontiers in Microbiology 5 (April): 145. Dal Co, Alma, Charlotte Brannon, and Martin Ackermann. 2018. “Division of Labor in Bacteria.” eLife 7 (June). https://doi.org/10.7554/eLife.38578. Eagen, Kyle P. 2018. “Principles of Chromosome Architecture Revealed by Hi-C.” Trends in Biochemical Sciences 43 (6): 469–78. Enke, Tim N., Gabriel E. Leventhal, Matthew Metzger, José T. Saavedra, and Otto X. Cordero. 2018. 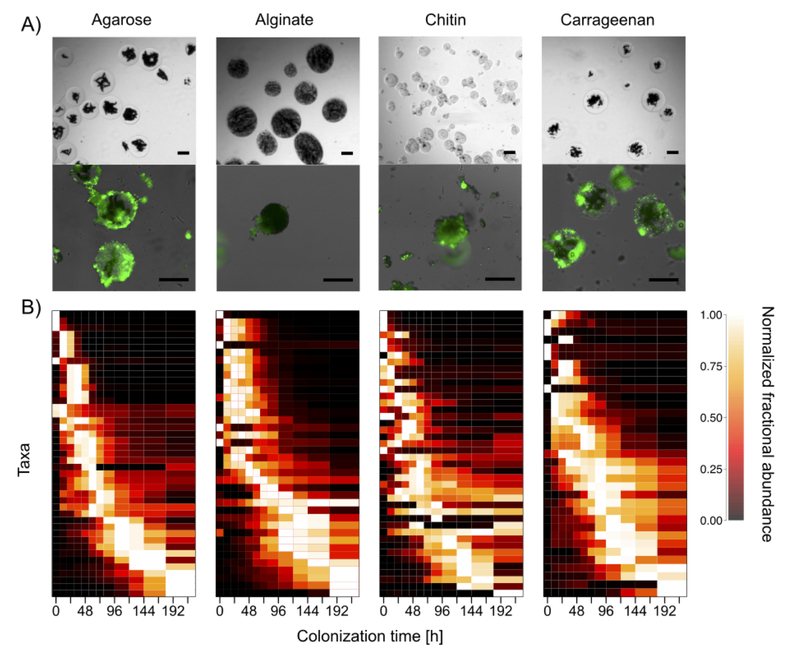 “Microscale Ecology Regulates Particulate Organic Matter Turnover in Model Marine Microbial Communities.” Nature Communications 9 (1): 2743. Gill, Mandev S., Philippe Lemey, Shannon N. Bennett, Roman Biek, and Marc A. Suchard. 2016. “Understanding Past Population Dynamics: Bayesian Coalescent-Based Modeling with Covariates.” Systematic Biology 65 (6): 1041–56. Kornberg, R. D. 1974. “Chromatin Structure: A Repeating Unit of Histones and DNA.” Science 184 (4139): 868–71. Morris, J. Jeffrey, Richard E. Lenski, and Erik R. Zinser. 2012. “The Black Queen Hypothesis: Evolution of Dependencies through Adaptive Gene Loss.” mBio 3 (2). https://doi.org/10.1128/mBio.00036-12. Palakurty, Sathvik X., John R. Stinchcombe, and Michelle E. Afkhami. 2018. “Cooperation and Coexpression: How Coexpression Networks Shift in Response to Multiple Mutualists.” Molecular Ecology 27 (8): 1860–73. Thongsripong, Panpim, Amy Green, Pattamaporn Kittayapong, Durrell Kapan, Bruce Wilcox, and Shannon Bennett. 2013. 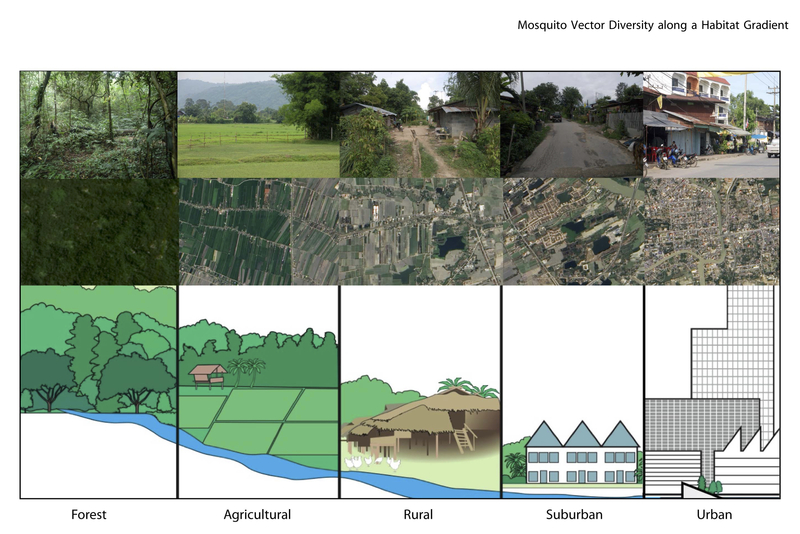 “Mosquito Vector Diversity across Habitats in Central Thailand Endemic for Dengue and Other Arthropod-Borne Diseases.” PLoS Neglected Tropical Diseases 7 (10): e2507. This entry was posted in blogging, career, community, conferences, evolution, genomics and tagged conference, ecological genomics, Evolution, genomics, metagenomics, microbiome, social media. Bookmark the permalink.